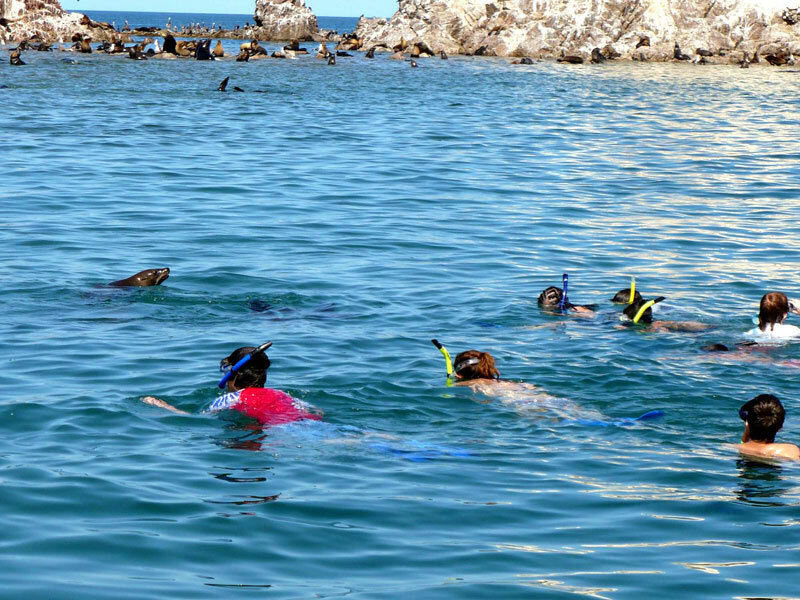 Snorkeling in the Sea of Cortez This introduction to Marine Biology, designed for the non-major, will take you to the Sea of Cortez (our nearest ocean experience), which has one of the best intertidal expanses in the world! At low tide, as much as 300 feet of what was once covered by the sea is exposed. Students will study the area between the tides and collect both plant and animal specimens, which will be studied under the microscope. Students will take part in an ongoing scientific survey of intertidal organisms in local habitats. Depending on the timing of the best tides, the dates of the program vary from year to year. Introduction to marine experiments, marine biology, and ecology. On-site field experience in Mexico. 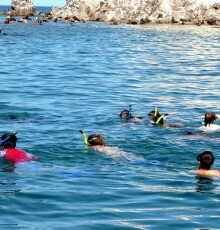 Emphasis on observation and study of marine organisms along the shore.